Have you ever felt intimidated by hanging artwork yourself and thought that you needed to hire a professional installer? It is actually surprisingly straight-forward to hang your own artwork as long as you do your homework beforehand and use extra special care. Plus, there is no time like a recession to learn how to do something yourself, and it can be an empowering learning process. A good place to start is Martha Stewart’s Homekeeping Handbook: The Essential Guide to Caring for Everything in Your Home, filled with helpful tips and how-to’s on everything you ever needed (or wanted) to know about running a well-oiled household, including wise words about caring for, framing, and hanging art. Hang art 60 inches from the floor, as most galleries do. Use a picture-hanging hook that is designed to accommodate the weight of your artwork. Make sure to account for the distance between the wire hanger and the top of the piece. Choose location of artwork with extreme care. Beware of direct sunlight, hot air from radiators, cold drafts, humidity, smoke, and soot. Choose dimly lit spaces and protect works on paper with UV-filtering acrylic. Avoid hanging any artwork over a fireplace as soot and smoke can be harmful. High heat levels can be damaging; if you opt to highlight your artwork with special lighting, use incandescent rather than halogen bulbs. Be aware of fluctuations in humidity because they are particularly damaging to materials such as wood, paper, and fabric. These materials expand when exposed to humidity and contract when dry, resulting in permanent damage. Maintain a constant room temperature to protect against cockling. Mold can cause foxing (reddish brown spots). Hang all artwork on interior walls to prevent exposure to dampness, especially in an old or poorly insulated house. Clean frames with a can of compressed air or a soft paint brush. Aluminum or lacquered wood frames should be cleaned with a dry, lint-free cloth. When cleaning metal frames, you can use an all-purpose cleaner, but be sure to spray it onto the cloth first, never directly onto the frame. Check the front and back of artwork several times a year and consult a restorer if you encounter any mold, fading, or other damage. A restorer will help you determine which materials the artist originally used and which cleaning agents will be safe. If shipping a painting, never put any sort of plastic or Bubble Wrap against the surface because it could react with the paint. Wrap the painting first in glassine or acid-free tissue paper, then Bubble Wrap. Have photographs, watercolors, pastels, and other works on paper framed by a specialist in archival framing to make sure that the work is completely sealed from dust and moisture behind the frame and glass. Be sure that prints are matted with an acid-free mat and backing, ideally made from 100% rag or lignin-free cellulose. Acid can yellow paper over time and colored papers often contain acid in them so they are not a good choice for framing. Great article! I particularly like the reference to “Apartment Therapy: how to hang art in groups (like Kate Spade).” As good as it was, it did not solve my problem. My attempts to hang tryptichs (and we do have a few) have been hampered by trying to keep the frames symetrical. Not all frames are level, even when framed by professionals using expensive and supposidly good quality frames. Of course, they may have warped over time too. Excellent article! Lots of good recommendations. Dulias Wedding dress cleaning services offer High Quality wedding dress cleaning. Nationwide collection and delivery service available. you’ll have available! 😉 So i’m really going to find out if I may possibly obtain something connected with new home gadgets for sale!! You have performed a formidable task and our whole neighborhood will be grateful to you. this ԝebsite on regulɑr ƅasis tto оbtain updated from most recent reports. How many ways are there of going green in beauty schools. ” In little time at all, the completed washing was spinning away drying in the only dryer, I was standing under a well eared hot shower giving myself a good rubdown. Do not just ask any plumber to come over and do some immediate repairs. fat. You will be excited watching your kids in pastel tones especially when summer comes. being faster than any other method currently available for treating arthritis. that they have in the field. worl the whole thing is avvailable on net? accelerated by experience of the sun. Wavefront -guided LASIK, contact our Sacramento office for a complimentary eye care consultation. the revolutionary Hair – Max Laser Comb to stop thinning hair. a modern sense of style. Will you be one in the citizens of Los Angeles that are in want on the providers of a mover. Moving quotes should be based on a thorough understanding of your needs, and the types of belongings you have. and it reduces the amount of boxes going into landfills. Small Holes in Drywall Home Improvement Project. An update sink fixture with great looking knobs can instantly update a plain and outdated kitchen counter and sink area. your hair to become extremely fragile causing it to break and fall out. web site ( super fast reply ), you can contact us at the web page. this? suppose you wrote a catchier post title? I mean, I don’t want to tell you how to run your blog, but suppose you added a headline that makes people want more? 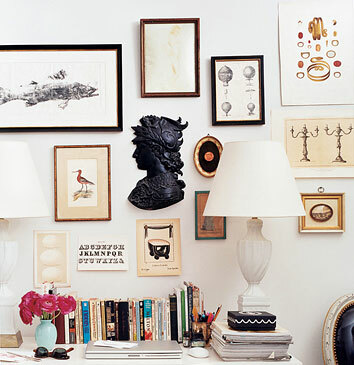 I mean How to Hang Art Like a Rock Star (or at least like Martha Stewart) | ArtsÉtoile is kinda plain. I was advised your blog by using this step-brother Haircut. I have no idea whether or not it post will be created by means of him as no one know like special somewhere around our trouble. That you are astounding! Appreciate it! Mangalam Birla is the group’s chairman.. Providers and lawyers have expertise and knowledge, respectively. an act that is carried out in selfdefense.